At last year’s Tokyo Motor Show, Honda promised to build an affordable hybrid to undercut Toyota’s Prius (and Honda’s own Civic IMA). 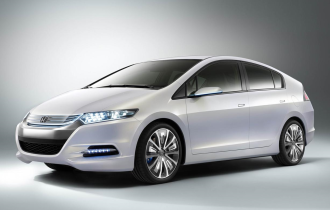 Today it published the first official pictures of that car – the new Honda Insight hybrid. The new car will make its debut at the Paris motor show in a month’s time and although Honda is not yet saying what affordable will mean in pounds and pence, the mainstream car mags are all of a mind, predicting a base price of £15,000 – Ford Focus money, in other words. 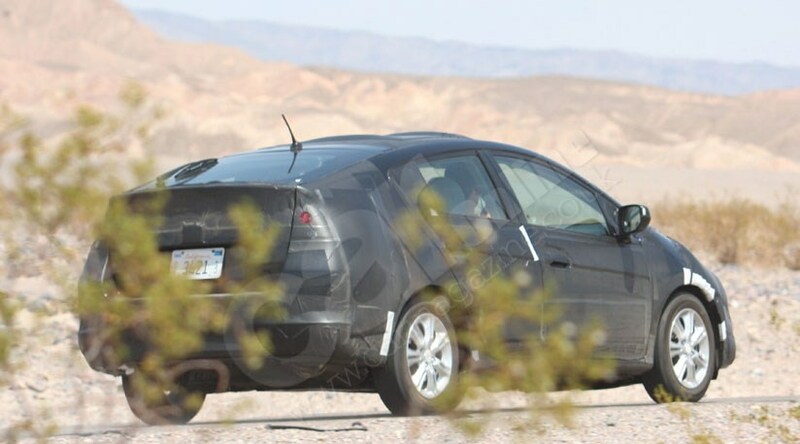 The car looks strikingly similar in profile to a Prius. This is presumably no accident, and probably has twin causes. The laws of fluid dynamics are no respecter of brand differentiation, giving the thumbs-up to slope-tailed humpback shapes irrespective of which group of Japanese engineers plug in the numbers. But then it’s also always a canny marketing move to ape the competition when you plan to undercut it on price. And the similarities go beyond the aerodynamic profile. At the rear, the tailgate screen is split into a near horizontal upper pane swept by a wiper, plus an oblong, upright lower section, flanked by pointed lamp clusters. Just like the current Prius. But in Honda’s defence, the 2003 Prius 2’s rear-end happens to resemble two earlier Hondas: the original 1999 Insight and the 1987 CRX 2. No word yet on powerplants and, in particular, the petrol-electric power equation. Will the new Insight follow the Civic IMA’s recipe of one part electric to four parts petrol power, or adopt the more radical Prius pairing of motor and engine with equal outputs? Alas, for the moment, a couple of pictures and a few vague words are all the details Honda is willing to divulge.